Submitted by Alexander Briones on Feb. 13, 2018. Originally published on Dec. 19, 2015 and most recently updated on Feb, 14, 2018. 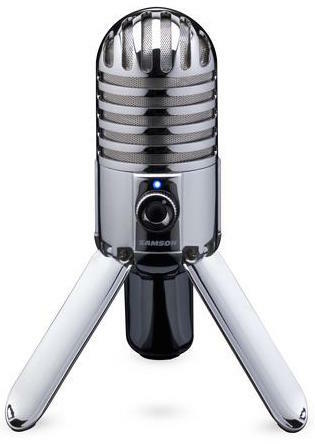 Home recording continues to grow in popularity, thanks in no small part to good quality condenser microphones in the sub $100 price range. Stiff market competition forces the standards to go up, resulting in ever improving versatility, quality, and value for money. Here we present you with an updated look at the best condenser microphones that you can get for under $100, featuring current market favorites with new additions to the list that include three Samson mics (C01U Pro, Meteor Mic, Go Mic), Audio-Technica AT2010, Nady PCM-100 and the affordable Fifine K669. If you need higher performance misc the take a look at our guide to The Best Condenser Mics - $100 to $1000. As the title suggests, we looked at popular and highly rated condenser microphones in the sub $100 price range. And to ensure that you can readily buy the mics presented in this guide we only considered those that are widely available from US-based retailers. For this update, we gathered over 14,500 relevant review and rating sources for 21 condenser mics, all of which were processed by the Gearank Algorithim. This gave us the scores which we used to rank the mics according to their connection type, the first of which have XLR connectors, while the second group offers direct connection to computers and smart devices via USB. For more information about our methods please read How Gearank Works. For single instrument and vocal recording, the Cardioid polar pattern and its noise reduction capability is ideal. This pattern captures everything in front of the capsule and rejects background noise from the back and sides. On the other hand, Omnidirectional and Figure-8 patterns are useful for capturing multiple instruments and sound sources. This also means that background noise can seep in, so proper placement and the acoustics of the location you are using them at should be considered. There are some budget microphones that come with polar pattern switching, allowing you to switch between Cardioid, OmniDirectional, Figure-8 and the other variations of these patterns. These versatile mics give you more value for your money, but because of the moving parts required, they may not be as reliable as specialized ones. USB mics draw their power from your computer or tablet - this can sometimes cause problems if your device can't supply enough power (a common issue on the iPad) or it can result in your device's battery being drained - if this happens you'll need a powered USB hub. Non USB condenser mics take their electricity from phantom power - this is typically provided by your mixing desk or audio interface. In general USB mics are rated a little lower in terms of sonic quality than their non USB counterparts. These are condenser mics that utilize a traditional XLR connection. Because of the way condenser mics use capacitors, they require phantom power to operate, thankfully most modern preamps, mixing consoles and USB adapters provide phantom power. The Audio-Technica AT2010 is a condenser microphone that comes in the familiar handheld form factor, which makes it easy to setup being compatible with regular mic stands. Combined with its cardioid polar pattern, this condenser mic works well in both live and studio settings, be it for capturing vocal performances, or for recording instruments. It also has a max SPL of 136 dB, which enables it to handle louder sound sources, adding to its versatility. Other features include a frequency response of 40Hz-20kHz and signal-to-noise ratio of 71 dB (1 kHz at 1 Pa). Market response is overwhelmingly positive for the Audio-Technica AT2010, so much so that it has taken the top spot. The superlative great is used often to describe the mic, it is reported to be a great workhorse mic, to have great value and versatility. It works excellently in many situations, including houses of worship, solo singers, jazz vocalists and more. Chris Keneddy of Voice Council concluded, "Overall, the Audio-Technica AT 2010 is an impressive microphone considering its price point that is certainly worth checking out if you are looking for your first decent live microphone and don’t have a budget for high-end mics..."
There were a few users who noted that some EQ is needed to tame the harshness with loud male vocal styles. If you're looking for an affordable and versatile handheld condenser microphone, then the Audio-Technica AT2010 should be first on your list. 92 out of 100. Incorporating 600+ ratings and reviews. 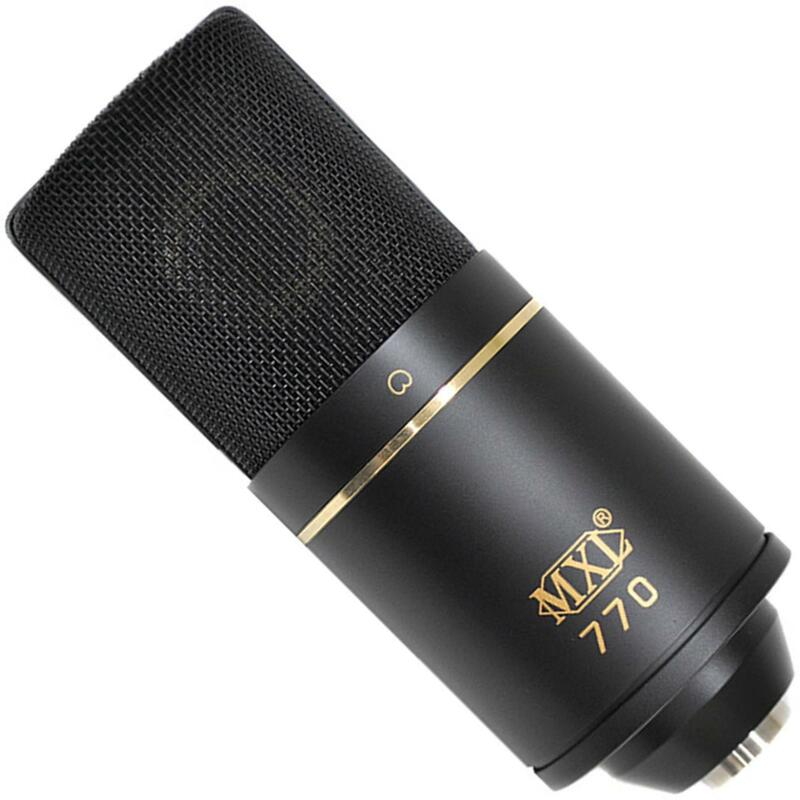 The MXL 770 is a straightforward studio quality workhorse mic that can be had at a very affordable price, and to most, this is the very thing that they need. This mic features a 6-micron, 20-mm gold sputtered diaphragm, and it has a frequency response of 30Hz-20kHz. It has a nice balanced sound that works great for just about anything, be it vocals or instruments, as long as the SPL does not exceed 137dB, and users can't recommend it enough. If you are looking for a reliable mic, and you don't want to spend your entire $100 budget on it, then get this one. While some reviewers prefer the more expensive MXL 990 (which was included in this list prior to this update), it has to be said that the MXL 770 continues to be perform better in the market as evidenced by its continued higher ratings and higher sales volume. Many reviewers speak of this mic dearly, specifically pointing to its quality, value for money, and how it is versatile enough to work with common instruments and sound sources that are usually employed in home recording situations. There are a few who are concerned with durability, they recommend careful handling when moving the mic around or when transporting. 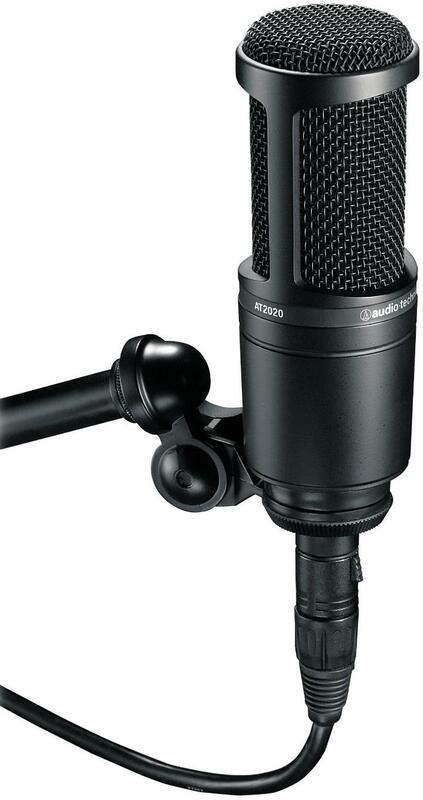 The market continues to hail the MXL 770 as one of the best budget friendly condenser mics, so it goes without saying that we highly recommend it, especially for home studio use. Behringer's presence in the music gear market is undeniably strong, especially in the the entry level tier. This encompasses the sub $100 condenser mic market, with which the Behringer B-1 is doing quite well in terms of popularity and ratings. This large diaphragm microphone features a 1" gold-sputtered dual-diaphragm designed for improved transparency and fidelity - and many are raving that it the sonic quality of this mic is comparable to premium mics which are four times more expensive. This large diaphragm design works in conjunction with the cardioid polar pattern for added clarity and low-end. For applications that require less of the lower frequencies, Behringer equipped the B-1 with a switchable low-frequency roll-off switch, along with a -10 dB input attenuation for improved high SPL handling. Most users were satisfied enough to write down how they were impressed by the Behringer B-1's clarity and reproduction, exceeding the expectations of many considering its affordable price tag. There were also many who reported using this mic for years without encountering any issues, which is quite an achievement. There were a few who commented on the bundled shock mount, saying it tends to be flimsy. While others found the mic's gain to be harsher than what they're used to, requiring some adjustments when switching mics. If you are looking for an affordable workhorse condenser mic that can take a beating, or if you're looking for a reliable backup for your expensive mic, then get the Behringer B-1 Studio Condenser. 90 out of 100. Incorporating 1350+ ratings and reviews. The AT2020 features a low-mass diaphragm that lets it handle high SPL (Sound Pressure Levels) better than many other condenser microphones. It also has a smaller 16mm-diameter black-electret capsule, which give it a subtly brighter sound, that complements certain applications like female vocals, closed-miked horns, small bodied acoustic guitars, drum kit overheads and more. Finally, the components are protected by a modern looking cast metal exterior that's easy to store and easy on the eyes. Many owners are happy with the Audio-Technica AT2020's high 144dB SPL, and how it handles loud sound sources without compromising much of the low-end and overall sonic quality. 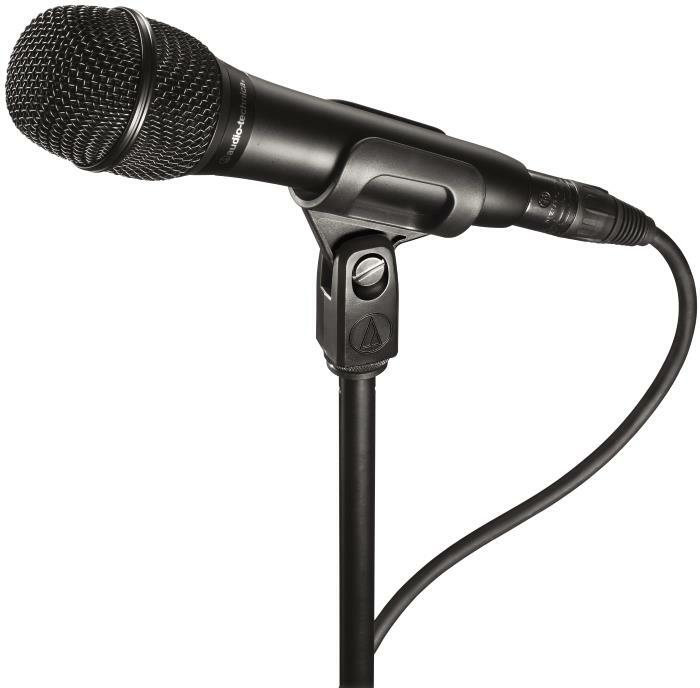 In addition, there are a good number of reports that attest to this mic's solid build and reliability. Users are happy with the peace of mind that they get from its worry free operation. There are even a number of users who favorably compare the analog sound of this mic to the popular dynamic mic Shure SM58, when used on vocals. There are a few who complained about the headphone out feature, reporting that the sound level that comes out is lower than they expected. Some are not too fond of the subtly brighter sound, especially when the vocalist stands too far back from the mic. The Audio-Technica AT2020 is an ideal budget-friendly condenser mic for home studios that are expanding to capture loud sound sources. It is a great supplementary mic if you already have a large diaphragm condenser, and it can also be a good all-around mic if you are miking wind and percussive instruments. One look at the Nady PCM-100 and you'll understand why its popular - it is a cool looking mic that comes with a very affordable price tag. And with that form factor, it is meant to be a stage microphone for use with vocal performers, but there are some who have put it to good use in recording as well. It has a frequency response of 30Hz to 18kHz which is quite limited, but this limitation gives the mic its distinct presence peak that many prefer. It also has a switchable low-cut filter that allows for low end adjustments when needed. As expected, the Nady PCM-100's best trait is its vintage looking profile. But it's not just about old school looks, because its distinct sound coloration are just as well received. While it is meant for classic rock style performances, it has been proven to be useful for other musical styles and in studio settings. One user cautioned to check the innards before using, to ensure that the diaphragm is properly positioned. Others found that it can be susceptible to feedback when not positioned properly. If you're looking for a budget alternative to the classic rock microphone, then check out the Nady PCM-100. These are condenser mics that feature USB connectivity, which lets them draw power from your computer and at the same time stream captured audio for direct recording. As such these are designed primarily for straight to computer recording, and are ideal for musicians who are looking to setup a basic home studio. 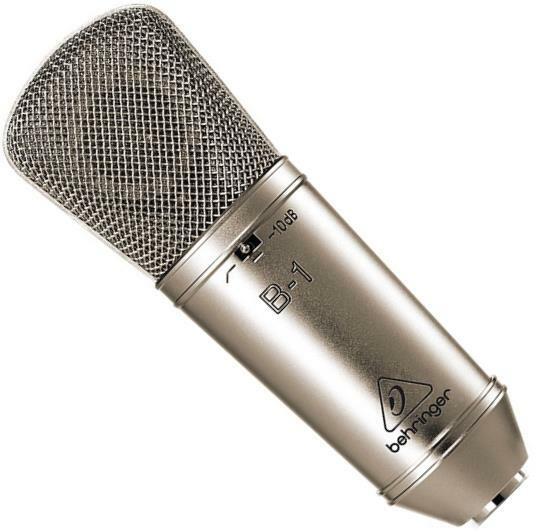 Note that USB condensers are modified to run on lower power, when compared to regular Condenser mics, as such subtle sonic quality difference is expected and this is reflected on the noticably lower ratings and reviews. Software issues also drag down the ratings of some of these mics, and at times they are not even the fault of the mic. These days, software issues should not be much of a problem, unless you're using old hardware with outdated operating systems. 89 out of 100. Incorporating 375+ ratings and reviews. It doesn't get any simpler than this, the Samson C01U Pro is a condenser mic that plugs straight to the USB port of your computer for direct recording. It comes with a large (19mm) internal shock mounted diaphragm condenser and a hyper cardioid polar pattern which allows for good sonic detail capture and good background noise rejection. It also comes with a built-in Headphone amplifier for no-latency realtime monitoring. For the price, you'll be surprised to find that the C01U is housed in a solid diecast form factor with heavy gauge mesh grill - all of which feel solid and have been tested to be reliable. More importantly, the Samson C01U Pro is very affordably priced, which makes it ideal for those who are taking their first foray into home recording. The C01U Pro is described as being super easy to use, and good sounding. Users are happy that there was nothing to complicate the recording process, just load up your DAW software, plug it in, and record away. There are many reports of it working in various musical styles like rap, rock and even metal-style screaming. It has also worked well when recording acoustic instruments. The most common concern is with regard to monitoring delay, which can be a deal breaker for those who want to listen to what they are recording in real-time. Thankfully, the mic comes with a built-in headphone amplifier so you can listen-in without latency but you'll have to plug into the mic. The Samson Meteor Mic is designed to be all-in-one desktop mic, and it seems that they are not bluffing with its myriad of features. Most noteworthy of which is its large condenser diaphragm of 25mm, which allows it to capture more nuances. This works in conjunction with its cardioid pickup pattern, 20 Hz to 20 kHz frequency response and 16-bit - 44.1/48kHz resolution, to allow it to work with different vocal applications like singing, overdubbing, and podcasting, as well as musical instruments. Other nifty features include a headphone output with volume control for zero-latency monitoring, a microphone mute switch for quick muting control right on the mic, and a versatile set of tripod legs that can be set at different angles. Most of the comments describe this mic as being great for voice over, voice chat and podcasting, but there are also plenty of singers and musicians who chimed in with their approval. Many appreciate that it can sit on their desk for long periods without issue, making it an ideal mic for quick recordings of song ideas or even actual performances - when limited by budget and time. There are some who commented that the mic captures a bit more background noise than they expected, while others are not too confident with its build. Still, the Samson Meteor Mic is a great desktop mic to have if you're looking for an affordable and practical way to try out home recording. 85 out of 100. Incorporating 1950+ ratings and reviews. 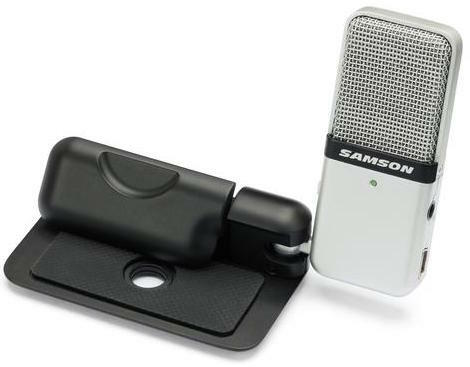 If you're looking for a portable multi-purpose condenser mic then the Samson Go Mic may just be what you need. It features a compact profile that can easily fit into pockets for transport, clip on laptops/tablets for mobile use, or stand on a desk for home recording. It houses a small 10mm diaphragm condenser with switchable polar patterns (omni and cardioid), making it viable for solo vocal/instrument recording or for group/multi-instrument recordings. Other features include a frequency response of 80Hz-18kHz (Cardioid), 20Hz-20kHz (Omni), and a max SPL or 121 dB. Excellent and fantastic are just two of the many positive adjectives that are used to describe the Samson Go Mic. Most of the reviewers are happy with its balance of portability, sound quality and value for money. It works excellently as a podcast/voice-over/dictation software mic, but it is also receiving a lot of thumbs up for how it handles singing and even acoustic instruments. Its intuitive design is also mentioned as one of its strengths. There were some users who noted that the mic is sensitive to wind noise and popping sounds, thankfully, these are issues that can be dealt with depending on the situation. Portability and great sound quality is a hard combination to achieve, but the Samson Go Mic goes a step further and adds affordability to the equation. 86 out of 100. Incorporating 1000+ ratings and reviews. 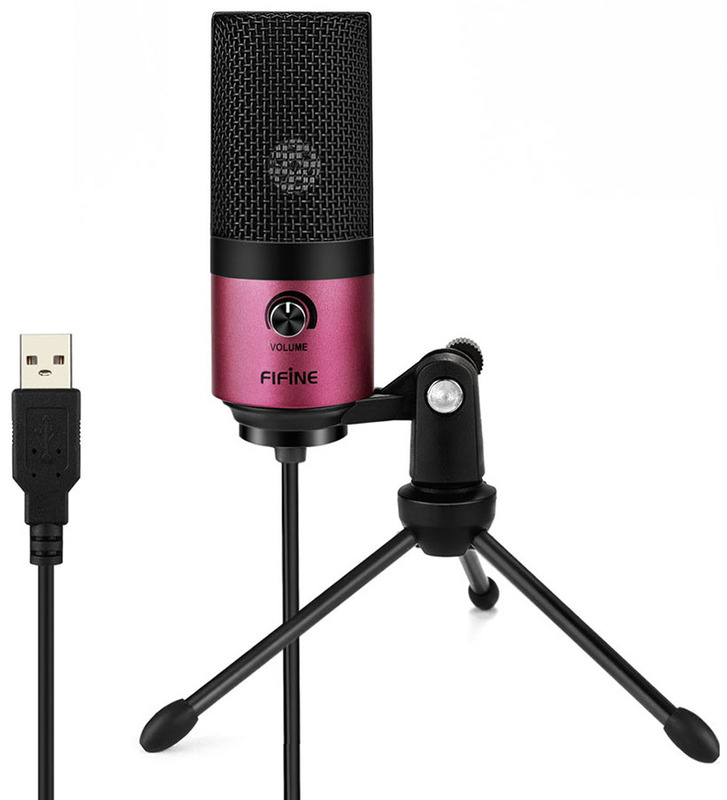 The Fifine K669 is a very affordable USB condenser microphone that's meant for the budget conscious. It connects to computers via a permanently attached USB cable, which simplifies connectivity but removes the ability to swap out the cable if it stops working. Prominently placed on the mic body itself is a volume control that allows for quick adjustments. Other features include a frequency response of 20Hz-20kHz, and a max SPL of 130dB. Many users could not help but compare Fifine K669 favorably to other USB mics. And while it receives most of its good reviews from podcasters and gamers, singers and musicians have been chiming in with their good reports and recommendations. Sound quality and resistance to background noise are two of its most commended traits, while others are also happy that it doesn't look as cheap as its price. There were a few who had issues with the included stand's stability, while others were reporting getting unwanted noises while recording. The manufacturer did caution that these noise issues maybe due to the use of outdated audio drivers. With it's built-in volume control, good sound quality and build, the Fifine K669 is a good affordable mic to consider. 88 out of 100. Incorporating 3350+ ratings and reviews. It may seem like a toy at first glance, but the Blue Microphones Snowball is a true condenser microphone designed for desktop recording. It has a frequency response of 40Hz to 18kHz making it viable for podcasting and vocal recording. The -10dB pad allows it to handle louder sources like musical instruments, expanding the use of the mic into music recording territory. The mic also features two pickup patterns for further flexibility. Finally, this mic is bundled with PreSonus Studio One Artist software, which allows for out-of-the-box recording and production. 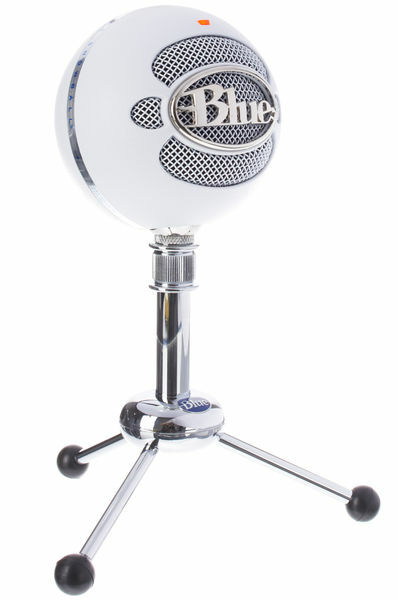 Most of the many positive reviews that the Blue Microphones Snowball received are from podcasters and vocalists, many of which are impressed with the resulting sound quality. There are also some musicians, specifically those who use acoustic instruments, who found the mic to be just right for their needs. Being easy to setup and use are also commonly mentioned. Having been made for desktop use, a big number of users have found its literally oddball form factor to be surprisingly effective, commending it for its stability and ergonomics. There are a few users who found the bundled tripod stand to be flimsy, but assured that the mic itself can take a beating. Some recommend to get close to the mic for best results, but this can be awkward given the mic's shape and low position on the desk. If you're a total beginner, and you're looking for an all-in-one mic for you to up the quality of your audio recordings, then you should check out the Blue Microphones Snowball. Submitted by Megan (not verified) on Feb. 21, 2017. A great list! thank you! I used Blue Microphones Snowball and was satisfied a lot! Has anybody tried M-Audio Nova? My friend advised me to buy it because of its benefits. Submitted by Jason Horton on Feb. 21, 2017. There's nothing wrong with the M-Audio Nova but it's out of production and no longer sold by most of the major online music gear retailers - M-Audio removed it from their own website store back in 2015. Submitted by Herald (not verified) on May. 19, 2018. Submitted by jason b (not verified) on Jun. 22, 2018.
do i need to buy the power supply? can you tell me if the mic is still good with no power supply? Love that for once the lower-end mics are getting their due somewhere. Be nice to see an update on this article...also I suggest (to the author and others) to check out the Behringer C1 and MXL 67, both in the $50-60 range. Submitted by Jason Horton on Oct. 17, 2018. Thanks for that - when I saw your post I also wondered why we didn't have the MXL V67G recommended above and when I looked into it I found there was a glitch in our database which I've now fixed. There is a good chance that one or both these mics will make it onto our recommended list when we next update this guide.